BEL ESPRIT (AUS) (Bay 1999-Stud 2003). 8 wins-5 at 2, BTC Doomben Ten Thousand S., Gr.1. Leading Aust. Sire of Winners 2012-13. Sire of 848 rnrs, 577 wnrs, 23 SW, inc. Black Caviar (VRC Patinack Classic, Gr.1), Bel Sprinter, Bel Mer, Afleet Esprit, Se Sauver, Gabbidon, Vivacious Spirit, Keen Array, Sweet Sherry, Iconic, Angels Beach, City of Song, Honey Flower, Loveyamadly, Audacious Spirit, Oregon Spirit, Strike the Tiger, Peach Tree, etc. BLUE LIGHT, by Lago Delight. 7 wins at 1100m, 1200m, A$87,470, TRC Kevin Sharkie H., Business East Enterprise H., Lou Bisdee 100th Birthday H., Boag's Draught H., TCM Pty Ltd H., TTC Free Beer H., 2d TRC Members Sprint H., Winzenberg Trophy H., City of Glenorchy H., TTC Shaw Contracting H., 3d TRC Fuji Xerox Tasmania H., Derwent Park Developments H., Access Locksmiths H., TTC Sky Racing H., Lister Electrics H. This is her second foal. Her first foal is a 2YO. Blue Light. 7 wins. See above. I've Got It. Winner at 1200m in 2015-16 in Aust. Moon Dance. Placed in Aust. Powderworks. 4 wins from 1400m to 2000m, A$75,960, to 2016-17, 2d SAJC Campolina Stud H., Cranbourne TC Inglis Pinker Pinker P.
NATURAL TYCOON (Monde Bleu). 7 wins. See above. Turbulent Force (Flying Spur). 12 wins from 1100m to 1600m, A$125,562, TRC Cascade Premium H., AHA H., Schweppes H., Hotel Grand Chancellor H., Governor's Cup, Raine & Horne International H., WL Cloak H., Raine & Horne Spring Series H., 30th Anniversary H., Green Glory Fresian Stud H., 2d TRC Macquarie Foreign Exchange H., Pier One Restaurant H., 3d TTC Mowbray S., L.
Ambouli. 4 wins to 1250m, A$112,150, VRC FP Williams Carbine Club H., Tasman H., MVRC Caroma & Dorf H. Producer. Donatello. 6 wins from 1200m to 1800m, TRC Colliers Jardine H., TTC TA Bricknell Memorial H., 2d TTC Edgell 2YO H., Launceston Week H., 3d TRC Ray Groom H.
Carbon Trader. 5 wins from 1400m to 2050m, A$196,846, MVRC Craigieburn Sporting Club H., MRC Highways R&R Members H., MVRC Adapt Australia H., 2d VRC Bitalli H., Brave Chief H., 3d VRC KA Morrison H., PFD Food Services H., Spring is the Season H., MRC Westpac Business Cup, Selangor Turf Club H.
Something Stunning (Jukebox). 5 wins-2 at 2-to 1400m, VRC Hickenbotham H., MVRC Somerton H., VATC Keysborough Highweight H., 3d Mornington RC RM Ansett S.H., L.
VORMISTA (Testa Rossa). 4 wins to 1400m, A$468,110, VRC Rose of Kingston S., Gr.2, SAJC Zena Winser H., Consolidated Plant & Quarries H., Adelaide Bank H., 2d BTC Cup, Gr.1, MVRC Manikato S., Gr.1, Australia S., Gr.1, SAJC WH Wylie H., L, 3d MRC How Now S., Gr.3. Producer. ASHKALETA (Ashkalani). 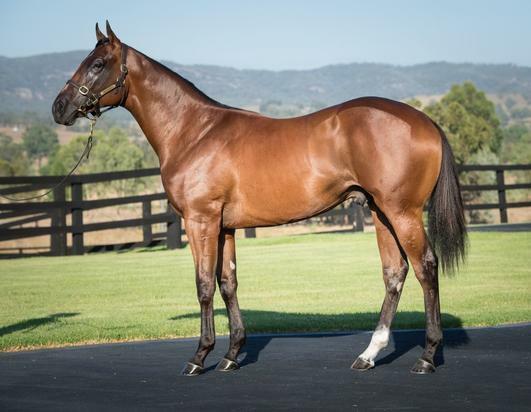 Winner at 2, A$153,250, VATC Blue Diamond Preview (f), Gr.3, 2d SAJC Magic Millions Adelaide 2YO Classic, 3d VATC HIH Insurance 2YO P. Producer. SOCKS (Keep the Faith). 6 wins-4 at 2-from 1100m to 1600m, A$216,375, Tasmanian Guineas, L, TRC Cerebral Palsy Tasmania 2YO H., 2d TTC Newmarket H., L.